I am a man who puts his life on the line for strangers. I am a man who works hard to defend his community, and rides hard to defend his sanity. 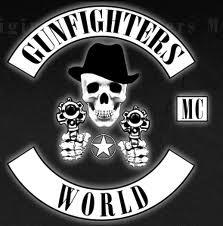 I am a Gunfighter. I am a man who will never quit. I will give you my best, but you will never get the best of me, because the best of me is reserved for my family and my brothers. I do not want to fight you, but I will, and you will lose. I am fair, but I am tough.